SCVHistory.com LW3158 | 1971 Earthquake | Collapsed 210 Freeway Bridge in Newhall Pass, 2-9-1971. 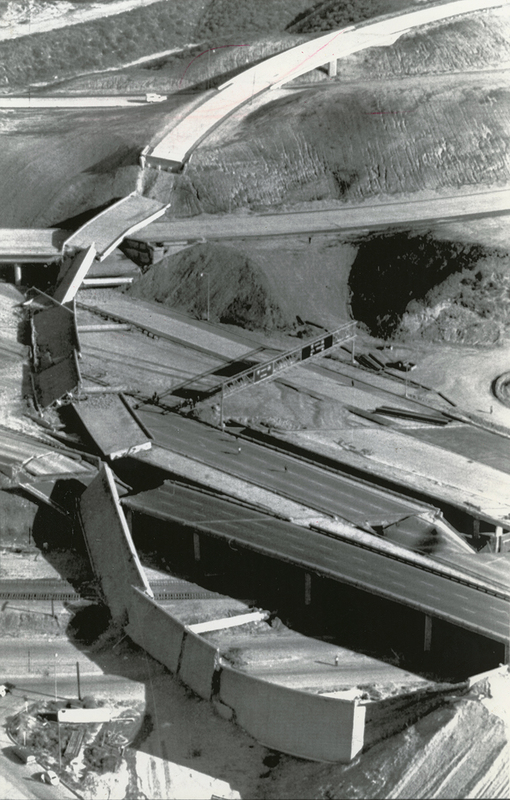 February 9, 1971 — The westbound Interstate 210 overpass has fallen onto Interstate 5 in the Newhall Pass. UPI Telephoto. East is at top. LW3158: 9600 dpi jpeg from original photograph purchased 2017 by Leon Worden.